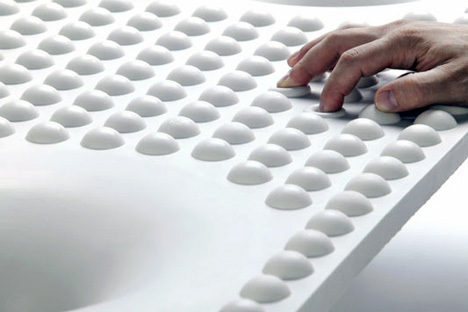 Bubble Wrap. The kind of stuff that you'll find in a box when you ordered something, protecting your goods. For unknown reason, everybody likes to pop all those bubbles. It's fun, timekilling and kind of useless. 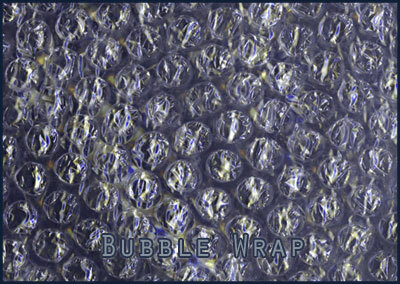 Once you start popping, most people have the urge to pop the full bubble wrap. Feel free to admit that you're one of those people. Some designers have taken good advantage for this habit. Others know how to make something really cool with bubble wrap. 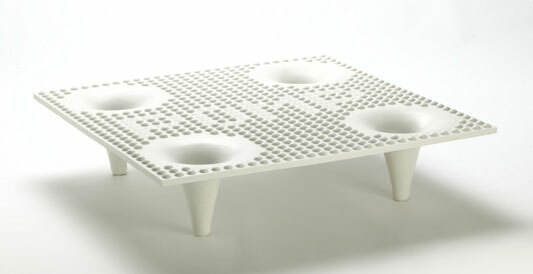 For example, designer Herme Monica Garcia made the POMP; A coffee table with a lot of bubbles that you can pop. 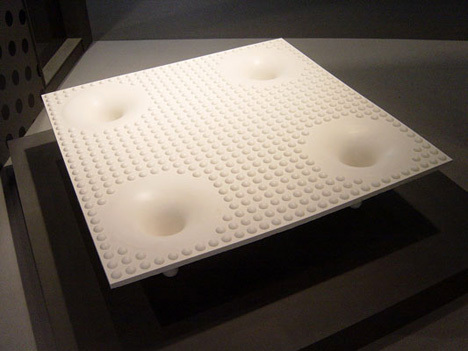 It's a nice piece of furniture to look at, but next to that the surface is covered with small soft bumps that you can press down. So if you don't have a piece of bubble wrap at home, go to the POMP and give it a pinch. For those people who are really addicted to bubble wrap, here's a bubble wrap keychain for you. Bandai's PuchiPuchi is designed to simulate the look, feel, and sound of popping bubblewrap, perhaps every geek's favorite pastime. To order this keychain, go to Kilian-nakamura and buy the PuchiPuchi for $59.00. There are people out there that find good use for bubble wrap. Take a look at this video where a dancer is hip-hop-popping to the beat. If you don't want to buy any of this stuff but you still want to pop those bubbles, try this small (but addicting and totally useless) game. Don't forget to try the "manic mode".